Fergal Mee is currently leading the Environmental division of the Chris Mee Group as Environmental Director. Fergal has extensive experience and understanding of Greenhouse Gas (GHG) systems following his training by the Canadian Standards Association. He has been instrumental in rolling out the ISO/CSA 14064 GHG quantification, GHG Projects and GHG Validation and Verification Training programs in Europe on behalf of the Canadian Standards Association (CSA). 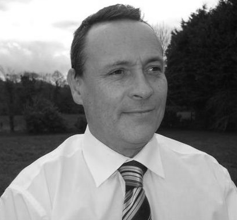 Darren O’Keeffe is a Director of the Chris Mee Group, Consultancy Team Manager in Cork and a Senior Safety Consultant with many years’ experience in Health, Safety & Environmental Management. He has experience in the Construction, Pharmaceutical, Service and Manufacturing sectors. Darren holds a Diploma in Safety, Health and Welfare at Work from UCC and a post Graduate Diploma in Risk, Crisis and Disaster Management from the University of Leicester. He supports the development and mentoring of all junior personnel within CMSE Consultancy.